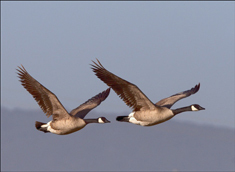 The oldest known goose to be taken by a hunter was a Canada goose that was estimated to be 29 years old. 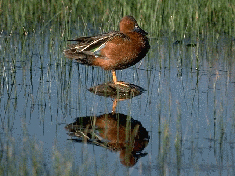 The only North American dabbler or diver that also breeds in South America is the cinnamon teal. 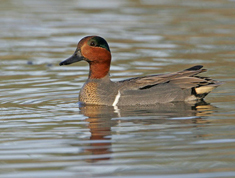 The oldest known duck to be taken by a hunter was a canvasback harvested at the ripe old age of 29. 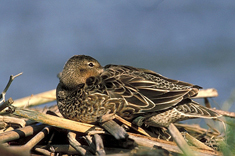 The female Cinnamon Teal often places her nest below matted, dead stems of vegetation so it is completely concealed on all sides and from above. She approaches the nest through tunnels in the vegetation. 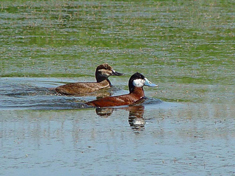 Both common and Barrow’s goldeneyes are often called whistlers. 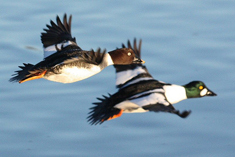 On cold, windless days, the resonant whistling sound produced by goldeneyes’ rapidly beating wings can be heard a half-mile away. 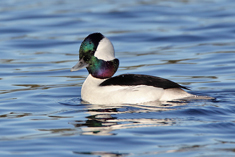 Buffleheads are often called “butterballs” by waterfowlers for good reason. These birds can store upwards of four ounces of fat—more than a quarter of their body weight—in preparation for fall migration. 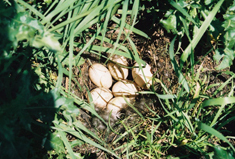 Genetic analysis of mallard broods has shown that many clutches include eggs that were fertilized by different drakes. The hens may actually seek multiple mates to ensure their clutches will be successfully fertilized. 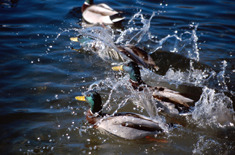 This behavior also produces greater genetic variation among broods. 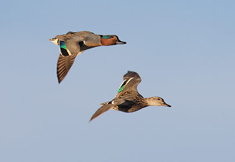 Blue-winged and green-winged teal, thought by many hunters to be the fastest ducks, are actually among the slowest, having a typical flight speed of only 30 mph. 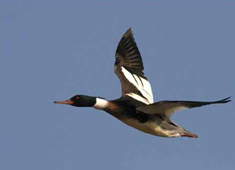 The fastest duck ever recorded was a red-breasted merganser that attained a top airspeed of 100 mph while being pursued by an airplane. 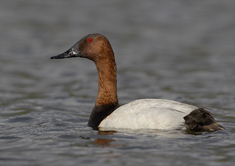 This eclipsed the previous speed record held by a canvasback clocked at 72 mph. 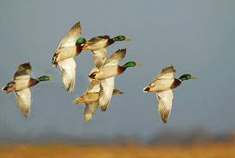 Hen mallards molt during late fall or winter. 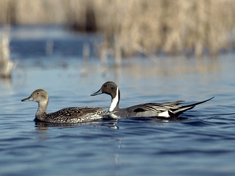 The birds replace their “basic” plumage acquired during the summer molt with darker brown “alternate” plumage. 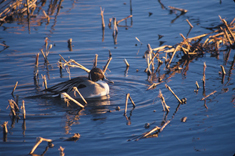 These darker, more clearly defined feathers help camouflage the birds while nesting in the spring.